We are fortunate enough to have highly qualified coaches who are all DBS checked and have First Aid and Safeguarding qualifications to run our sessions, Neil P, Alan M , Will G, Cally E, Lucy G and Charlie Noble, all coach County age group children within Oxfordshire as well as Tiddington. Neil is vice captain of our senior 3rd XI and is proactive in ensuring a smooth transition between junior cricket and senior cricket. Alan is the Tiddington Club Coach and Will, Cally, Lucy and Charlie are all playing in our senior teams, having come through our Academy. There are other coaches who also help at each session, again many have come through our ranks to play and coach the youngsters. Details of our coaches are on the website. We have Coach Support Workers to help out at our sessions, again they are all DBS checked. We are always happy to hear from any parents that wish to assist on a Friday evening, on or off the field, please let us know if keen so we can plan our sessions accordingly. Please see our new Club Coaches page for full profiles. We have entered teams at Under 9 – softball, Under 11 /13 – hardball, this season and will have a selection of friendly matches for boys and girls. In order for us to run these, we MUST have parent help for organising the games/scoring/umpiring. Please let us know asap where you can help out. We do not want to let the children down by not having matches. 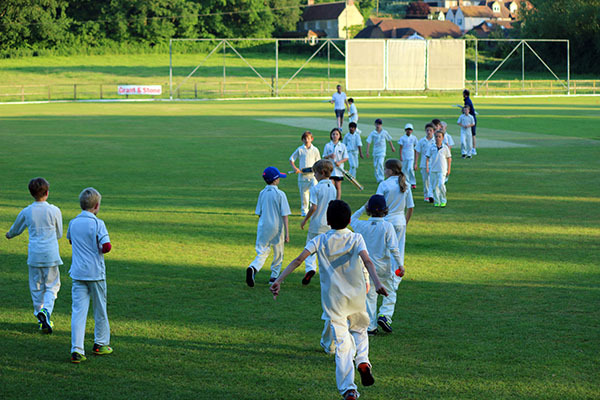 There are a couple of online courses for umpiring and scoring, which are ideal for youth cricket. Further details can be sent on request. Primary School training will start on Friday 26th April from 6:00 to 7:30pm, this is for children in year 3 to year 6, we regret that we cannot take children in younger year groups, unless they were in one of our programmes last season. Secondary School training will start on Thursday 25th April from 6:15 to 7:30pm, from year 7 upwards, we may also invite some year 5/6 children to join the sessions and will be in touch directly on this. Registration evening is Friday 29th March from 5:30 to 7:30pm, due to the large numbers we had last season at the Friday evening sessions, we will not be taking any new bookings before this date. After then bookings will be open until we fill the session. We will again run our popular Summer Academy, places are limited to 30 children in order that we can give them the best experience possible. After a lot of hard work, our cricket committee have secured major sponsorship for our senior and junior teams. 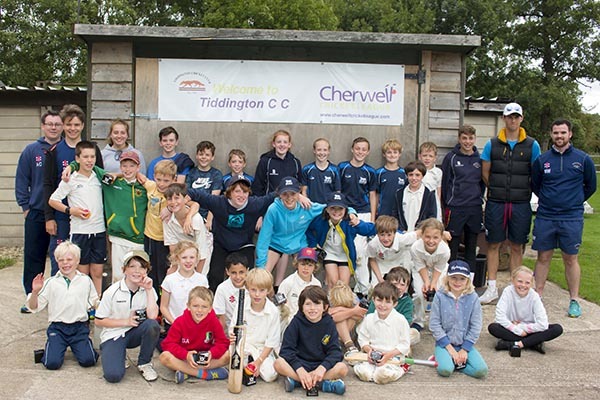 This means that we can offer all children registered, an official Tiddington playing shirt and a Tiddington polo shirt. Please indicate sizes required on the application form, those that complete the form and payment by 15th April, the shirts should be available to collect on the first training evening. Tiddington Cricket Club continues its accreditation with Clubmark, which is a Sport England national charter standard for all sporting clubs to illustrate that they are an effective, well managed and child friendly Club. Tiddington Cricket Club has strong links with Oxfordshire Cricket. Although the support of elite cricketers is important to the Club, it maintains an inclusive strategy to ensure that all levels of cricket are fully supported and encouraged and when the time comes, the step up for those ready for senior cricket is carefully managed. Due to an increase in registrations over the last few years and to provide excellent coaching, whilst ensuring child safety is paramount. some age groups will be restricted in numbers. Priority will be given to 2018 members that sign up and pay by 1st April, new members will be placed on a waiting list until this date. If you do not sign up before the first training session, please check before arriving as we may be full. The forms will not be available on our website for new members until 1st April. Parents are welcome to attend all training sessions and we are keen to involve parents and any that are willing to help out at training or matches, we would love to hear from you. Without the help, we cannot run matches. We appreciate it, if children can arrive promptly and in time for the start of the sessions. Parents are responsible for the supervision of siblings not involved in the sessions. There will be no parking available within the ground for safety reasons, please use the village hall car park and allow time to arrive. DO NOT block the road or driveways please, respect our neighbours, the road is in contact use with farm traffic during the summer.